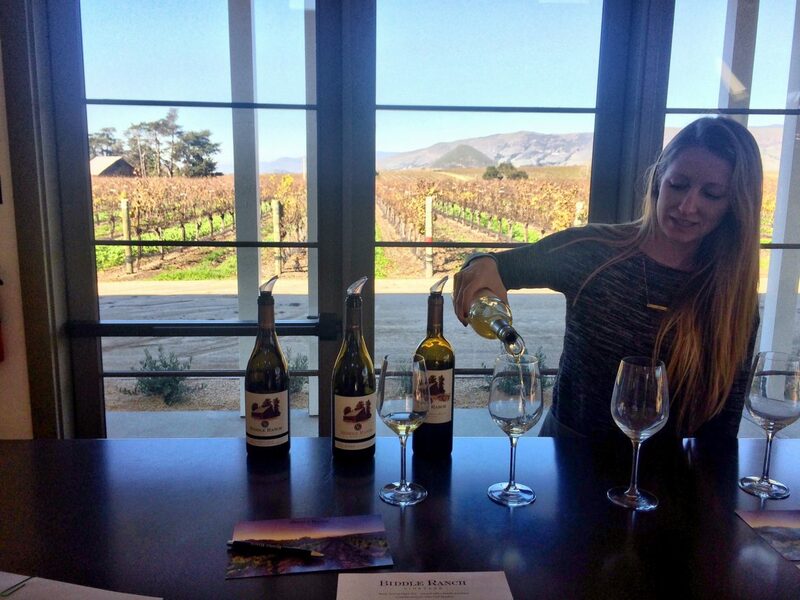 A recent tasting at the new beautiful tasting room for the Biddle Ranch Vineyard included six wines — three whites and three reds — starting with Sauvingon Blanc 2014 and finishing with Cabernet Sauvignon 2012. Varietals: Reds: Cabernet Sauvignon, Cabernet Franc, Pinot Noir, Sangiovese, Syrah. Whites: Sauvignon Blanc, Chardonnay, Semillon, Rose, and Girandole. Sara, our tasting host, really helped highlight the various wines and gave us a few tips on getting the most out of the wine aromas, and we want to thank her for her energy and being a great host. As we work through the tasting list, here are some of our flavor notes from the wines that stood out from the Flavor Team perspectives, noted by our initials (ab) and (ks). (ab) This one stood out between the two 2013 and 2014 Chardonnays. With a pale platinum color there was some very nice aromas of sweet fruit, maybe pineapple and a subtle oak background. Sara said this one was aged in both stainless steel and oak barrels, and may be part of the subtle oak taste. The taste was not overpowering and it had the same tones with fruit and a little oak. Hard to distinguish fruits in wine sometimes, but from my memory of the smell the pineapple did come out a bit. This was compared to the 2013’s slight grass or herb tones. My personal tastes go a little more towards the 2014. 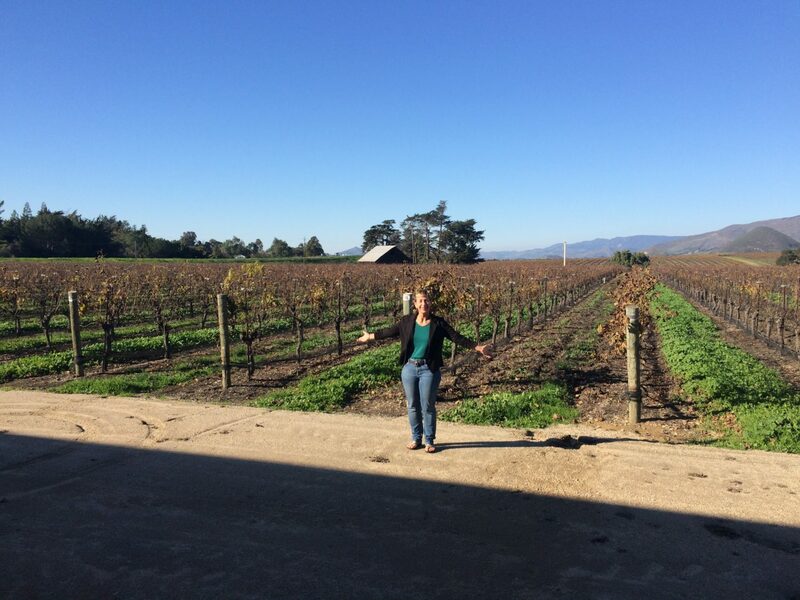 (ks) Sara shared that the 2014 Chardonnay is the first estate Chardonnay vintage for Biddle Ranch Vineyard, and that the winery now has 17 acres planted to Chardonnay. This 2014 was my favorite when comparing the 2013 and 2014 vintages. I picked up pineapple, citrus, and honeysuckle aromas, as well as bit of cement and minerality, but those did not detract from the overall appeal. The 2014 had a decidedly more fruity taste than the 2013, which had a nose of newly mown grass. Pleasant enough, but I’d choose to take home a bottle of the 2014. (ab) I personally like the Pinot Noir inspirations for the coastal vineyards where the air tends to be a little cooler. The 2014 Pinot that we tasted was one of my favorites wines from the tasting menu. This wine had a nice pale garnet color and the aroma of dried fruit. The fruit (slight cherry and orange) balanced well with a smoother finish with a little oak/vanilla tone. (ks) The 2014 Pinot Noir was a lovely garnet color and I picked up deep cherry and pomegranate on the nose. Very approachable and appealing, the tastes were of cherry and subtle tobacco, with a soft silky finish. This was a well balanced and light yet substantial Pinot, and was my second place choice for our Biddle Ranch Vineyard tasting. (ab) The fun thing about Syrahs for me are that they can really vary between the different wineries and highlight the areas which the grapes come from. As with the Pinot Noir the Syrahs from the areas near the coast tend to be slightly “lighter” and that can lead to some nice balance. 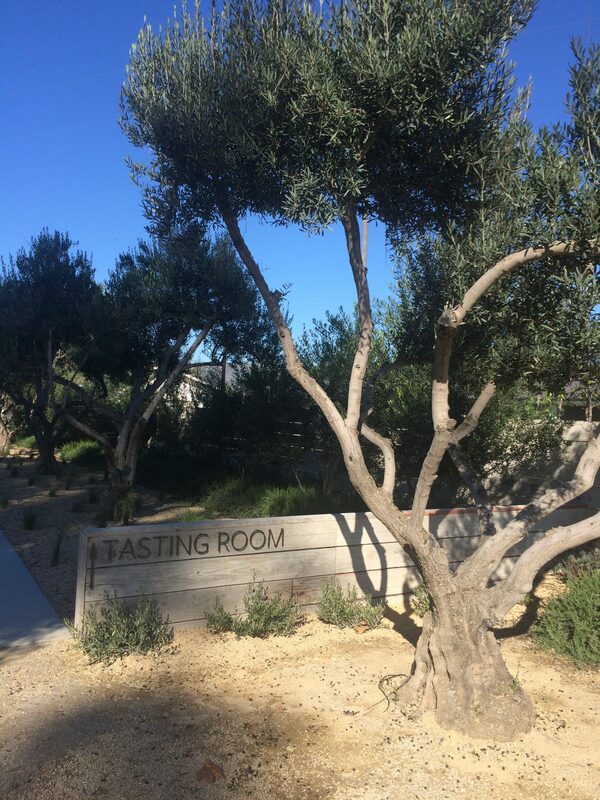 In the case of the 2014 Biddle Ranch Vineyard Syrah had a nice medium red color and a strong aroma of berry and “smoky campfire.” This is where Sara coated only the insides of the glass with little or no wine, and the very nice campfire smell was compounded. It is very interesting the variance of smells depending on amount of wine in the glass, and how one tends to get the most of of the aromas (technique). The taste from the Syrah was very nice. It only had a hint of pepper along with tones of berry, tannins, and some chocolate. I would say for me this came in close second for the wines we tasted. My father really liked this one as well. (ks) Sara also shared how different aromas linger in different locations within the glass. Some are apparent near the rim, while others stay tucked lower toward the wine’s surface. Starting with a beautiful red to garnet color, the 2014 Syrah opened with aromas of berry and deep, dark fruit, a little chocolate, and Smoke Cowboy (this term is courtesy my brother Karl). More pronounced tannins gave it a substantial feel, and it would pair great with a steak. I think it would age well, also. 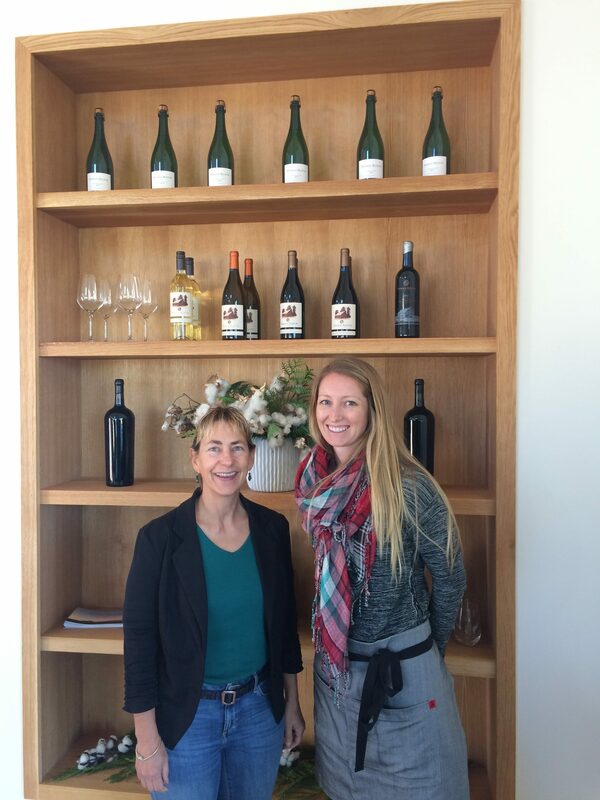 This was my favorite of our first tasting experience at Biddle Ranch Vineyard. 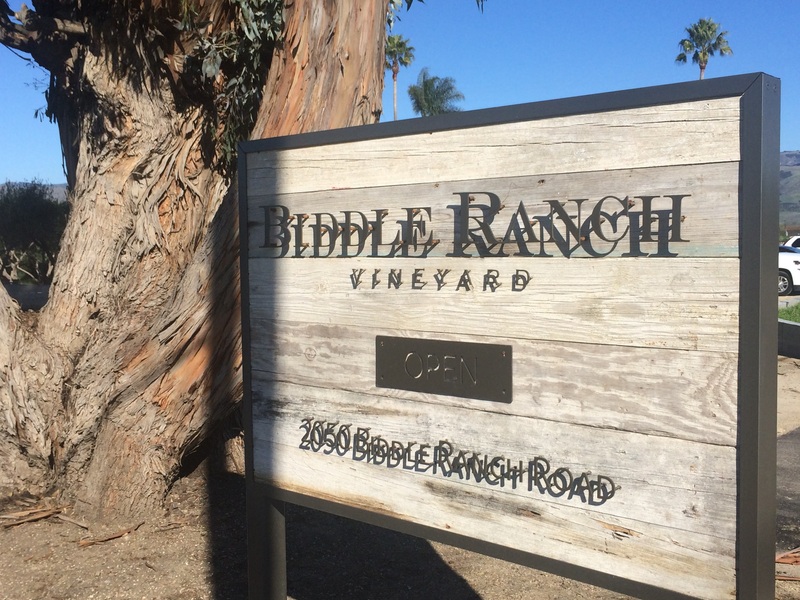 The new Biddle Ranch Vineyard tasting room takes into account a beautiful setting with a view of the vineyard, the historic barn replicated on the winery’s labels, the farmlands along the road, sounds of nature and music, and of course nice wine. 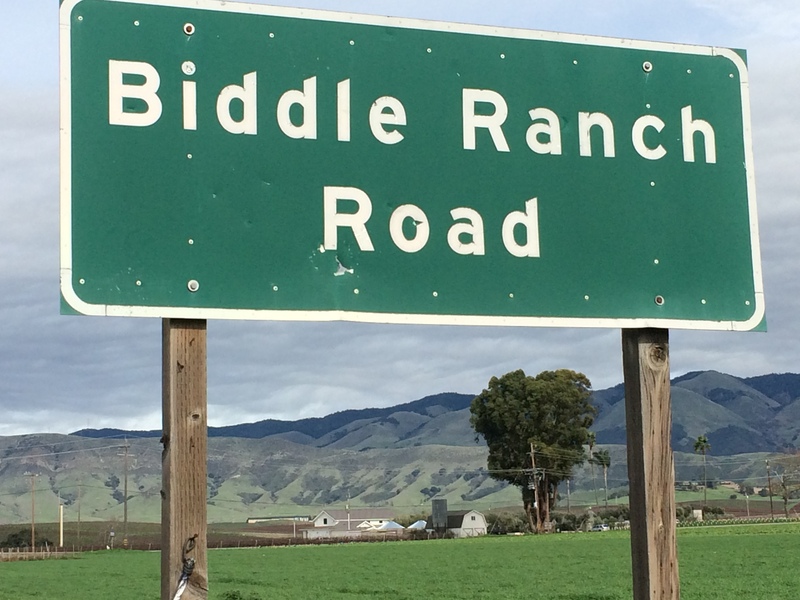 A view of the Biddle Ranch Vineyard framed by the Biddle Ranch Road sign, and located just off Hwy 227 between Arroyo Grande and San Luis Opispo.